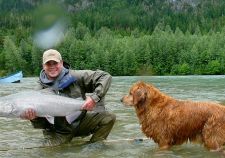 Ocean Bright Pacific Salmon on the fly! Skate mice for the largest trout on earth. 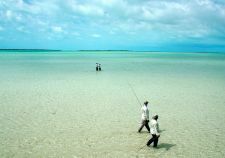 The Bahamas premier trophy bonefish retreat. 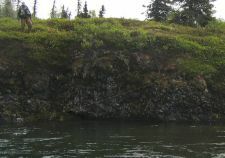 Trophy rainbow trout on Alaska’s Copper River. 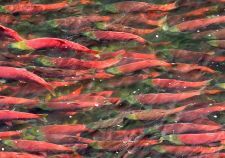 Wilderness fly out for trophy bows, salmon, pike, char etc. Unparallaled trophy peacock bass fly fishing. BC’s finest trophy steelhead venue. 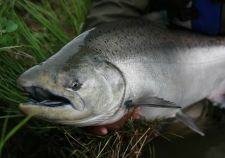 There is no steelhead experience that equals the Dean River. 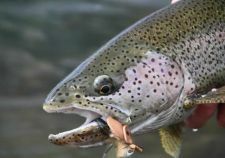 An ageless American West trout classic vacation. Once a stop for the Lewis and Clark Expedition. 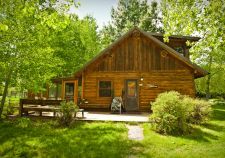 Sweetwater Travel Company is located in Livingston, Montana. 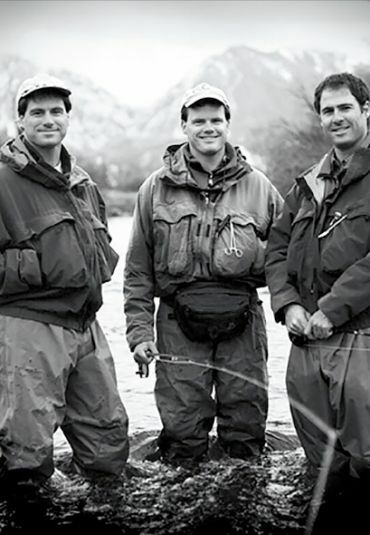 It was founded by the three Vermillion brothers – Dan, Jeff and Pat – and long time friend, Ron Meek in 1995 to build and manage 'best of class' fly fishing lodges around the world. Equally important to us was the desire to create an angling business that left the world's fisheries in better shape than when we arrived. That remains as important to us today as it was then. Twenty years in, it goes without saying that our success was due in huge part to having great supportive partners, exceptional managers, guides and crew. Our view is that if we don't enjoy the people we work with, that our clients won't either. They have become our friends and Sweetwater has become a vehicle for all of us to explore the world with a fly rod. Lucky. That's how we feel. 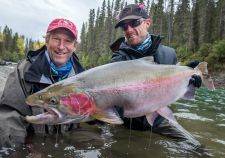 That goal--to make a watershed healthier through our presence--is the greatest challenge an outfitter faces as despite what people believe fly fishing does have an impact on fish and watersheds. As a friend put it, just because you have a fly rod doesn't make you a conservationist. Dead on as far as we're concerned. Rather it's what you do to protect the wild places that bring you joy and peace; your involvement and support for communities in those watersheds where you do business; and most importantly willfully voting for politicians of any stripe that are river and fish lovers. 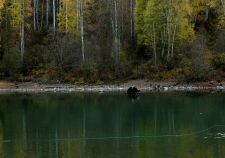 Mongolia was our first fly fishing lodge and remains an example of what sets us apart on that front. We arrived in Mongolia to a stunning valley and river system that was heavily poached and threatened by potential resource extraction. Twenty years later, the watershed is, we think, a better place. Independent non-profits co founded and funded by Sweetwater Water Travel and it's clients have made a great and positive impact to the fishery and local communities. On the fishery front, the watershed where we operate is now the world's first and only Taimen Reserve with active anti-poaching teams enforcing catch and release fly fishing only regulations. Our guides have helped spread those efforts to other fisheries in Mongolia. On the community outreach side, we helped re-build a monastery that had been burned down when Mongolia was under Soviet rule and have worked hard to help locals and educate local communities about the importance of conservation. Efforts like this, are we hope, evident wherever we do business. It's not about the tug or fish landed. Never was. Never will be. 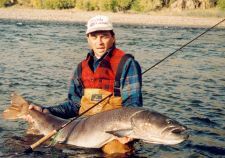 Sweetwater Travel Company has been a vehicle for us, your guides, to explore the world, locate and yes develop great fisheries, share them quietly with passionate fly fishermen and to work in partnership with our clients to make sure these places stay special. Fishing, safety, flexibility, character, outstanding staff and service are what makes our destinations best of class. And diverse. At some of our operations, you will eat by a campfire while others you will experience a meal with high quality ingredients that would make the New York Times for it's quality and presentation. Each and every Sweetwater experience is different, but they are all unforgettable. 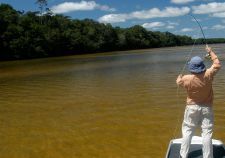 Our adventures are about the people, wild, uncrowded places and a relaxed approach to angling. That's not to say we limit how much you fish, but rather hope you'll find what you love on the water and take the time to enjoy the other wonders of great destinations. We're proud of the fact that those within the Sweetwater team are among the most talented and traveled in the fishing industry and can offer advice few can, but we're even prouder of the work they've all inspired to help keep fisheries special. Finally we're thankful for the clients and agents who have made our journey possible. If you're new to Sweetwater, please reach out by phone or come for a visit so we can enjoy hopefully fishing with you someday!